This is Sharpless 64 (Sh2-64) and its neighborhood in the constellation Serpens Cauda. The star-forming Ha region Sh2-64, also known as Westerhout 40, is the red structure below the image center. But honestly, I find the surrounding nebulosity much more exciting. 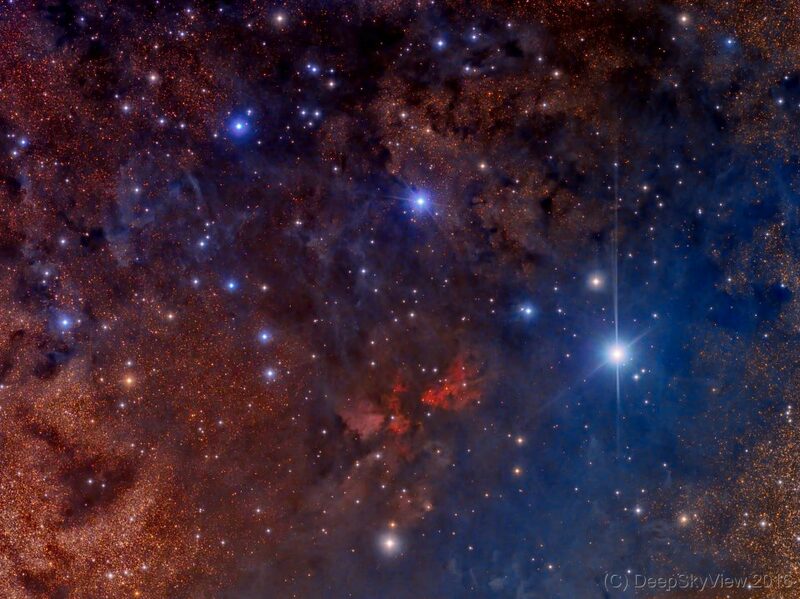 There is a huge maze of reflection and dark nebulae criss-crossing the whole field of view. This is a LRGB image composed of 34 luminance and 16 red, green, and blue frames with 600 sec each, more than 13 hours in total taken at the Deep Sky West Observatory. Rather basic processing, probably one can pull out even more structure from the data.